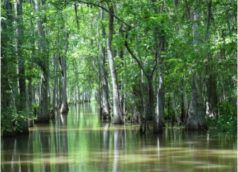 If you’re looking for a holiday destination that is one-of-a-kind, check out this post about Louisiana adventures. I asked peer travel writer, Arin Holiday, who is currently driving across the USA, to share with us her travel tips for a summer adventure in Louisiana. Buckle your seatbelts! Here we go with Louisiana: a Summer Adventure..